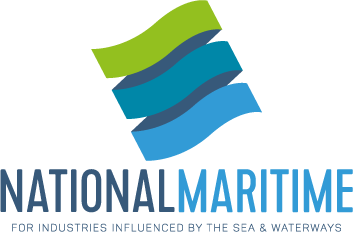 The strategy sets out the government's vision and ambitions for the future of the British maritime sector. Maritime 2050 is about anticipating the challenges and opportunities ahead and recognising the UK's strengths so we are well placed to capitalise on them. 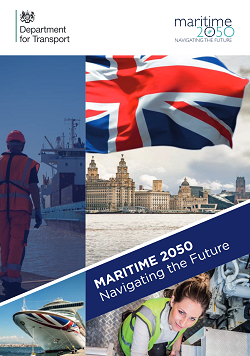 Described as both visionary and aspirational, Maritime 2050 highlights the Government's recognition of the importance of maritime - worth over £40bn to the UK economy, more than aerospace or car manufacturing - and focuses on the desire to cement the UK's place as the world's leading maritime nation into the second half of the 21st century. The government's ambitions and goals will be achieved by focusing on seven distinct themes; Technology, Trade, Environment, People & Skills, Infrastructure, Security/Resilience and the UK's Competitive Advantage. Short, medium and long-term recommendations are identified under each theme. Combined, these deliver a clear direction and vision for the Government and industry to work together to ensure the UK can progressively compete on the global stage in the coming decades. Route maps covering trade and technology and innovation are published alongside the strategy. Remaining route maps will be published later in 2019. 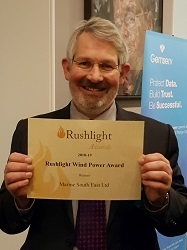 Simon Powell, Marine South East's Operations Director received the award and presented the findings of a number of projects that Marine South East has worked on to improve the financial viability of offshore platforms at sea at the Cleantech Conference. The Rushlight Show and Cleantech Conference were organished by Rushlight Events and sponsored by Innovate UK and others. The Cleantech Conference attracted an audience of fellow innovators, funding agencies and investors. The event provided excellent exposure for the work that Marine South East has been doing through a number of projects to look at ways to reduce the costs of offshore platforms, particularly innovative anchoring and mooring solutions. This was the 12th year of the Rushlight Awards which took place at The Royal Society in London. The awards were presented by guest of honour, Julian Critchlow, Director General Energy Transformation and Clean Growth, BEIS. 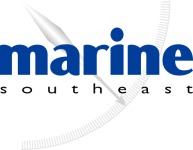 For more information about the projects that Marine South East is working on in the field of offshore platforms please visit http://www.offshoreplatforms.eu and sign up to receive updates from the Interest Group. This new strategic partnership will act as a pilot for the acceleration of Earth Observation for Blue Growth. The SpaceWave Project has been funded by the European programme for the Competitiveness of Small and Medium-Sized Enterprises (COSME). 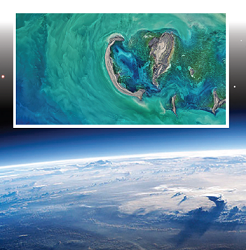 Since January 2018 the SpaceWave project has been identifying the current and future commercial and technological potential of Earth Observation technologies to facilitate the growth of the Blue Economy sector. Through collaborative working with cluster partners and key technology providers, the project has identified the most promising EO technologies and the most appropriate European and International stakeholders, clusters and business networks to work with in targeted countries. The project has created a joint internationalisation strategy in order to reach Europe's full potential in downstream Earth Observation in Blue Growth. The SpaceWave project is targeting four countries: Australia, Canada, South Africa and United Arab Emirates (UAE) and is addressing markets with high-potential such as; aquaculture, fisheries, marine renewable energies, maritime surveillance, maritime traffic, coastal protection and hazards, port infrastructures and sea level rise. * Engage together in a long term agenda for international Cluster cooperation and develop a joint Internationalisation Strategy Plan and Implementation Roadmap fostering complementarities between them, promoting cooperation across related industries and sectoral boundaries in support of emerging industries. * Facilitate the transnational transfer of knowledge and technologies between Earth Observation Clusters and Blue Growth Clusters. * Promote cutting edge technologies inside and outside Europe and facilitate their application into international markets of other sectors. * Explore and promote international market opportunities and enable international matchmaking. * Facilitate SME members towards specific third countries to be identified in the Internationalisation Strategy Plan. * Mobilise public and private financing for the development of the Internationalisation Strategy Plan. * Stimulate exchange of information and to develop possible collaboration and synergies with other ESCPs targeting similar third markets. Can your business provide energy solutions for off-grid locations? Many islands have no connection to wider electricity distribution systems and are dependent on imported energy supplies, typically fossil fuel driven. The energy systems that isolated communities depend on tend to be less reliable, more expensive and produce more greenhouse gas (GHG) emissions than mainland grid systems. 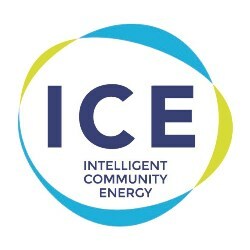 Supported by Interreg VA France (Channel) England, the Intelligent Community Energy (ICE) project aims to design and implement innovative smart energy solutions for isolated territories of the Channel area that face unique energy challenges. The objective is to significantly reduce the greenhouse gas (GHG) emission of the territories concerned (50 to 100% compared to a fuel-based system) and secure energy access. It will cover the entire energy cycle from production to consumption, exploit local renewable energy sources and integrate new and existing technologies currently at different levels of readiness, in order to deliver a comprehensive innovative solution. The objectives of this Expression of Interest are first to identify businesses that can provide electricity solutions in the context of isolated grids. Companies selected will be offered an ‘ICE’ label that will provide them access to a specific business offer. * The implementation of 'Smart City' related services. The ICE label is dedicated to businesses willing to provide energy solutions to isolated grids. This label will certify that companies have expertise in smart grids and that their solutions are suited to isolated territories and transferable. Eligible businesses must be able to provide solutions or services within the framework of low carbon energy models for isolated territories. Expressions of interest will be open all year with three cut-off dates on 30th April, 30th September and 31st December 2019. Businesses selected will be informed in May and October and in January 2020. Based on the successful Fit for Nuclear programme, ORE Catapult is working with industry to increase business competitiveness, supporting continued cost reduction in the sector while securing long-term economic benefits. Why apply for Fit for Offshore Renewables? Fit for Offshore Renewables lets companies measure up against offshore renewable industry standards and take the steps necessary to close any gaps. It opens the door for increased growth, more sales, and higher revenue. By embarking on this 12-18-month journey of business improvement, companies have the chance to join industry leaders in demonstrating their readiness and suitability for providing quality services to the sector. The opportunities are enormous. The recent Offshore Wind Industry Prospectus, published in October 2018, estimates that by 2030 the sector's value to UK companies could be £30bn per year. F4OR has already received dedicated support from large Scottish offshore wind projects such as Inch Cape, Moray West, Moray East and Seagreen, to ensure the programme continues to meet industry supply chain requirements. Applications for the Fit for Offshore Renewables pilot programme are open until March 2019, and companies based in Scotland are invited to submit their entry. The subsequent full programme will be open to companies nationwide. If you think your company is ready to win business in offshore renewable energy, follow the link below to take the first step on the journey. 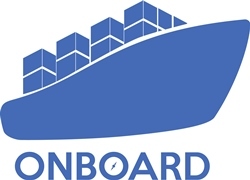 This event is for maritime start-ups, early- stage investors, innovators and entrepreneurs. The workshop will give you access to leading experts who can help you raise start-up funding and accelerate growth. The experts speaking at the event will also offer guidance on Innovate UK's funding competitions to test ideas and develop innovative products and services. The event will also be supported by the University of Greenwich KTP and Enterprise Development teams, with opportunities for bookable 1 to 1 sessions with all partners to discuss your specific needs. International speakers will highlight the state of the art solutions and discuss ways to overcome the specific challenges of blue energy, by concentrating on small-scale applications, by integration in multi-use platforms and by taking into account from the start of the design relevant technical standards. There will also be a chance for B2B networking. The event will take place at De Meyer in Temse, close to Antwerp (B) and about 40 km from Brussels Airport. De Meyer is a steel construction company. One of their recent projects is the development and installation of a "river in stream turbine" in a sluice within the port of Antwerp. 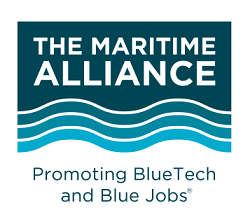 Jonathan Williams, CEO of Marine South East will present the ENTROPI Project at the event talking about Use-cases to reduce the costs of blue energy based on multi-use offshore platforms at sea.